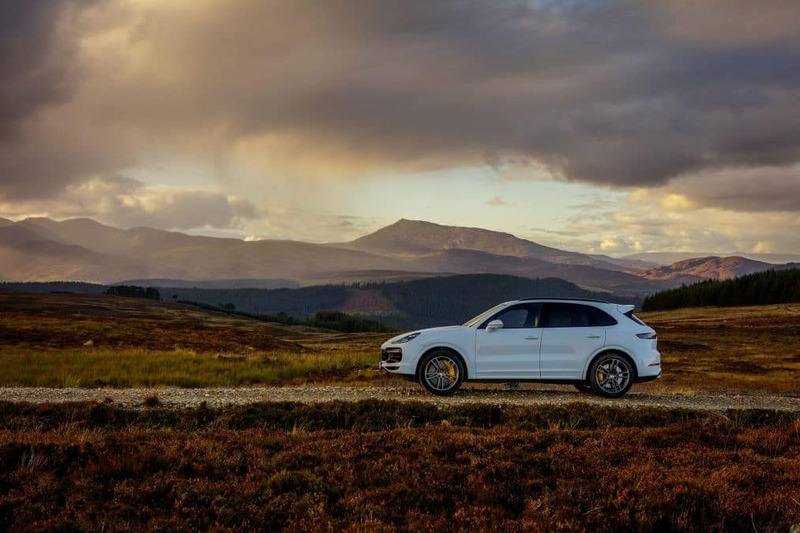 It’s about that time of year when new models are released and old models are put on the back burner so what better than a quick review of the new 2019 Porsche Cayenne Turbo? Yes, the 911’s are for the glitz and glamour but, the SUV’s are popular amongst most. They’re attainable, relatable, extremely useful, and a great crossover between luxury and sporty. There are no great surprises in this area – either in the Cayenne’s technical makeup or in the fact that it is very, very fast. As with the latest generation of Panamera, the new Cayenne Turbo receives the ‘down-sized’ 4-litre V8 with twin turbochargers nestled within the vee. It may be a more compact engine than the old 4.8-litre V8, but it’s also a more potent one, offering 543bhp and 568lb ft of torque (up from 513bhp/533lb ft in the outgoing car), the latter from as low as 1960rpm. Hooked up to a revised eight-speed torque converter transmission, the big Porsche’s accelerative abilities are somewhat shocking, sprinting to 62mph from rest in just 3.9sec with the benefit of the Sport Chrono Package’s launch function. And this with a kerbweight of 2175kg, despite Porsche’s best efforts in cutting the flab. The top speed is quoted as 177mph, a speed at which the Cayenne must sound hugely intimidating as it punches a very large hole in the air. A little longer, a little lower, the new Cayenne is a chunky but relatively reserved-looking car compared with the brutalistic original of 2003. This new third generation version is no longer a twin of the VW Touareg; rather it sits on the same platform as the Bentley Bentaygaand the Audi Q7. A Turbo variant can be identified by its special lighting treatment at the front end, colour-coded wheel arch extensions covering unique 21-inch alloy wheels, and the familiar quad tailpipes at the rear. Once inside, it retains the relatively low-set driving position and high transmission tunnel that conspire to promote a ‘sports car on stilts’ feeling. With the same 12.3-inch HD touchscreen first seen on the new Panamera, along with HD digital screens either side of the big analogue tacho, the look is modern but relatively simple and clutter free. It also feels very well screwed together – as you might expect at the price, but not always a given with some rivals. Delve into the big screen’s functions and you’ll find five different driving modes: an on-road mode, with Sport and Sport+ options, plus the off-road modes of Gravel, Mud, Sand and Rocks. As Turbos get the new three-chamber PASM air suspension as standard, there are also six different ride height levels. Overseeing the suspension’s activities and a whole lot more is the new 4D chassis Control setup, which includes the options of Porsche’s take on active roll stabilisation (now with the electrically-operated 48v system first seen on the Bentayga) and electric rear-wheel steering. The four-wheel drive system is of the ‘hang-on’ type with an electronically-controlled multi-plate clutch, while Porsche’s PTV+ torque vectoring is also fitted. Overall, it’s a considerable arsenal of technology to help something that sits high and weighs over two tons do things it shouldn’t really be able to do. Stopping, of course, is another significant challenge for a vehicle such as this, so Porsche has developed new 10-pot front calipers with 415mm discs that have a special tungsten carbide outer layer. PSCB is the acronym you need to add to the list. Mighty PCCB carbon ceramics remain an option, and further assistance is provided by an active rear spoiler with air brake function. For those that have a dislike of SUVs, the answer to this question will be something like ‘infuriatingly good’. Yes, the new Cayenne Turbo builds on the talents of its predecessors, but with some important new qualities for good measure. The first thing you notice is what a refined, relaxing car it is to cover large distances in. Most of the time the V8 is little more than a deep murmur, effortlessly dragging the Cayenne forwards, while the interior is a really nice place to be. But what’s most apparent is the abilities of the PDCC roll bars to slacken off when the car is cruising in a straight line, removing the sort of head toss that could blight a stiffly sprung high performance SUV over uneven road surfaces. The bedrock of the Cayenne’s driver experience is its steering, which as usual is precise, consistent and well-weighted in a manner not usually associated with the type. Traction, unless provoked as we shall see, is absolute, and the Turbo simply stampedes down a road, undeflected by surface, gradient or anything else. Very quickly the V8 goes from meek to mad, pulling with smooth but ferocious consistency and never feeling out of breath whatever the road or scenario. It’s just as well then that the brakes are verging on heroic given what they have to deal with. Try turning in sharply to a corner then getting on the power early and you’ll need some counter steering to stabilise the car as it powers on through, which feels alarming at first, and then very, very naughty. It’s a crazy party trick for such a vehicle, but it does also illustrate just how keen the Cayenne is to turn into a corner and hold its line, and used more sensitively, the combination of torque vectoring and rear-wheel steering makes this big hulk of a car feel surprisingly agile. Nevertheless, physics are still physics, and while the Cayenne can pull a variety of magic tricks, ultimately it can’t disguise its weight and general make-up. It can make stunningly good progress and its ability to do so in a comfortable, practical package is very appealing, but its ultimate driver enjoyment is more about shock and awe rather than the subtleties of driver interaction. 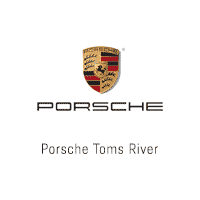 All content is written by Adam Towler from evo.o.uk and is not representative of Ray Catena Porsche Toms River.